True, patients are increasingly ordering their lenses online, but there are measures you can take to keep their business. One way to keep patients coming to you for their contact lens supplies is to fit GP materials; online retailers don’t offer this modality. Consider fitting custom soft contact lenses for patients with high amounts of spherical refractive error or astigmatism. Educate patients about rebates for large purchases, and offer to submit the rebates through your practice. At a time when you can have anything delivered to your doorstep in just a day or two with a few taps on your smart phone, for optometrists, competing to capture contact lens sales can seem futile. However, the situation is not as bleak as it may seem. Consider this: In a 2015 report, capture rates of 80% were considered to be one of the warning signs of a below-average contact lens business.1 In most businesses, making a sale to four out of every five customers who walk through your door is considered a good day’s work. Unfortunately, the tide is shifting out of the doctor’s favor, and the online contact lens market will only continue to grow. This article outlines ways to help boost contact lens sales and keep patients purchasing their lenses in your office. Whether it be a cutting-edge scleral lens design or a simple spherical corneal gas permeable (GP) lens, fitting patients in GP materials is a great way to ensure that they buy their lenses from you. Online retailers of rigid lenses simply don’t exist. If you’re running a medically oriented optometric practice, then you should prescribe and fit GP lenses for certain patients. They are essential for patients with irregular corneas and an important service for established hard contact lens wearers. Scleral lenses in particular can change lives for patients with diseased corneas, particularly those with moderate to severe dry eye. Not only will offering GP lenses and expertise help you make lens sales, but it will also help you retain patients. Fewer practitioners are fitting this modality, so your patients can’t just go next door to have their lenses evaluated and refit. For better or worse, patients who wear GP lenses often become patients for life. One last note on this topic: Because the supply of competent rigid lens fitters is shrinking, our skills are worth more. Therefore, we should bill accordingly for our services. If rigid lenses really aren’t your thing, have no fear. Made-to-order contact lenses represent another opportunity to keep patients coming to you for reorders. A number of manufacturers offer custom soft lens options. If you consider that most off-the-shelf contact lenses are designed to fit 80% of the population’s eyes, then that leaves 20% of US contact lens wearers (ie, 9 million people) without optimal lenses for their eyes. Both silicone hydrogel and hydrogel contact lens materials are available in incredibly stable and comfortable designs. Even if you don’t provide specialty lens services per se, you should make fitting custom soft contact lenses an option in your practice for patients with high amounts of spherical refractive error or astigmatism. You will provide an essential service for these patients and also ensure that they get their custom lenses through your office. 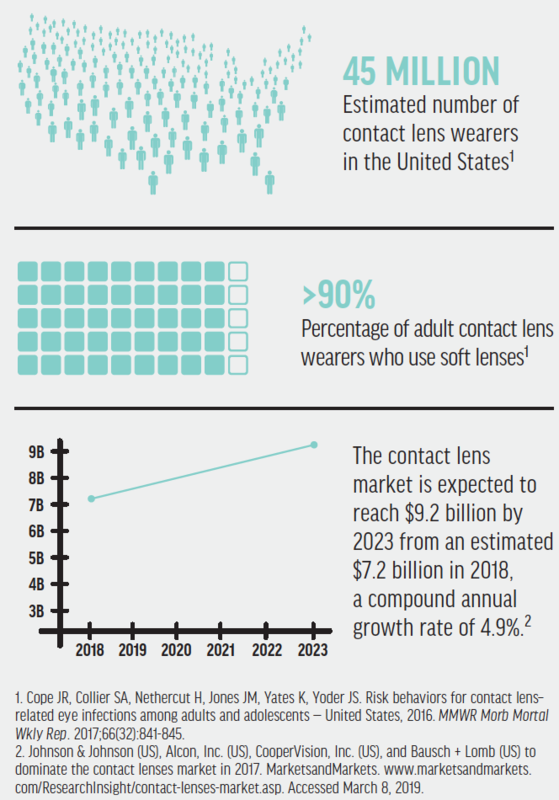 Another less common approach for capturing contact lens sales is to invest in private label soft contact lenses. A few independent manufacturers have products available in the United States for practices that see a high volume of soft contact lens patients. A minimum lens purchase is often required, so the up-front cost can be quite substantial. Packaging, labeling, and marketing can all be customized to suit the practice. If you go this route, your patients will get a local product, endorsed by their own doctor, at a competitive price that is achieved by eliminating the middleman and overhead associated with major manufacturers. I’ve seen offers for private label daily disposable soft contact lenses that are manufactured in superior materials and that can compete on price with subscription contact lens services. If you already fit a high volume of off-the-shelf soft contact lenses, then you might consider investing in private label lenses. They’re high quality, and patients can get them only from you. Another lens modality that patients can’t find online is orthokeratology (ortho-k). Ortho-k can be an excellent option for many patients, and when lens changes are needed, those patients must come to you for evaluation and adjustments. Modern ortho-k lenses are about as similar to standard rigid lenses as chihuahuas are to wolves. That said, having an aversion to fitting GP lenses shouldn’t influence your decision to fit ortho-k lenses. With 50% of the population projected to be myopic by 2050,2 you could argue that choosing to provide correction options that have been proven to slow the progression of myopia, such as ortho-k, is the ethical decision. The majority of ortho-k lens designs are custom-generated by a contact lens lab and are based on the patient’s topographic corneal maps and refraction alone. Manufacturers want to take the confusing lens design process out of practitioners’ hands, allowing them to focus solely on evaluating ocular health and myopic progression. 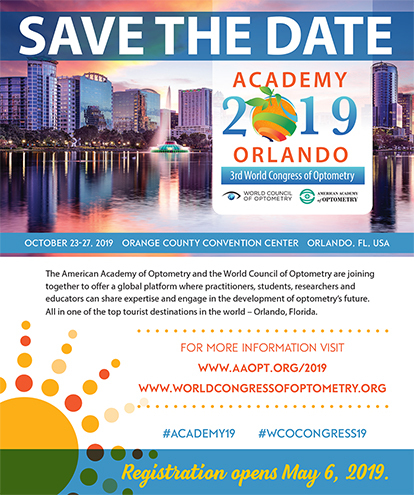 If you want nothing to do with contact lenses apart from the major soft lens designs, you can still implement strategies to encourage patients to purchase them through you. One effective way to do this is to educate patients on rebates offered by manufacturers for large orders, such as an annual supply of lenses. Showing patients that you want to save them money, not take it, signals to them that you’re on their team. I find that printing out rebate forms and handing them to patients after finalizing their contact lens prescription is more powerful than simply ripping off the rebate flyer from a manufacturer-produced pad. If you show patients that you put in a little extra time to track down the information for them, and all they need to do is fill it out, they’re more likely to order in the clinic while they’re thinking about it than take the prescription home and shop around. We even offer to have our front desk staff help them fill out the form if they decide to order lenses that same day. It’s incredibly effective, and patients can’t help but smile knowing that they got a good deal. No matter how hard you try to entice patients to purchase contact lenses in your office, some will refuse, citing the ease of online ordering. Fortunately, if you can’t beat the online options, you can join them. Just be sure to work with a practitioner-supported online marketplace. When you participate in an arrangement like this, you get a portion of sales. Your patients can simply input their prescriptions and select you as their provider when ordering lenses. Your patients get the convenience of subscription-style purchasing, with text reminders from the service prompting them to order more contact lenses when they’re running low. Patients can reorder via text, and the lenses arrive at their door a few days later. If you take into account what you save in administrative costs for a staff member to order lenses, call patients to let them know their lenses have arrived, and process payments, the reimbursement from the online marketplace starts to look similar to the profit you would make selling the box yourself. As you can see, there are a number of strategies to keep contact lenses profitable for you, whether fitting custom contact lenses or empowering patients through savings and convenience. The optimal strategies will depend on each unique practice situation and patient base. If patients decline to buy their lenses from you, ask them why. Listen to your patients, and look at your contact lens sale numbers. I guarantee that you will find issues with your current system that will be within your control to correct, and you will be on your way to capturing more contact lens sales. 1. Key metrics: assessing optometric practice performance. Practice Advancement Associates. April 2015. http://ecpu.com/media/wysiwyg/docs/paa_keymetrics_0415.pdf. Accessed March 7, 2019. 2. Holden BA, Fricke TR, Wilson DA, et al. Global prevalence of myopia and high myopia and temporal trends from 2000 through 2050. Ophthalmology. 2016;123(5):1036-1042.